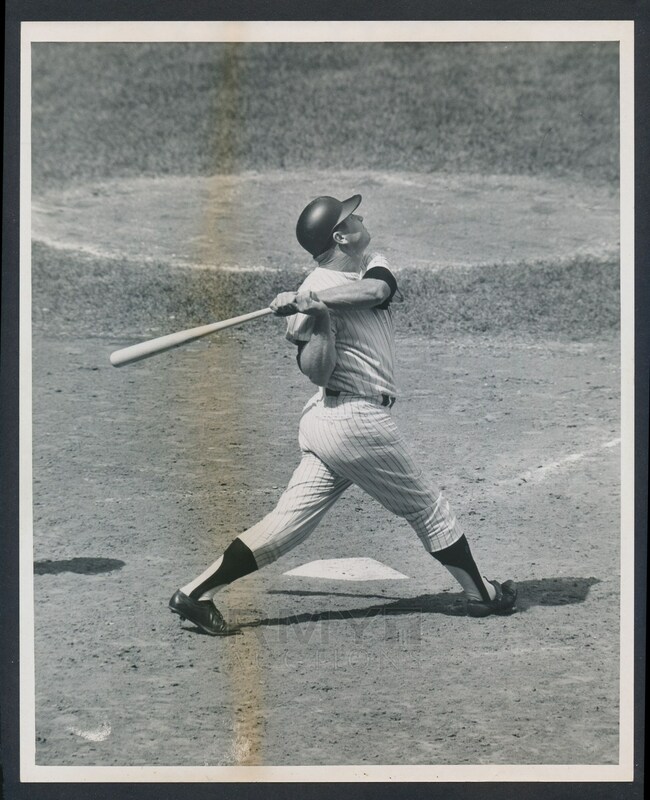 Large 1960's statuesque batting photo of the Yankee legend Mickey Mantle as he watches one sail into the seats. His muscles bulging but his follow through caught in suspended animation forever, Mantle gazes proudly as yet another homer finds the seats! Taken from the height of his career, this comes directly from the photographer who took the image and gave it to a prominent New York Sports cartoonist to use in his artwork! An exciting new UNIQUE discovery that has never been offered before and is sure to be the centerpiece of even the most extensive Mantle collection! A nearly perfect example that could be the photo used to make a statue of Mantle outside Yankee Stadium! 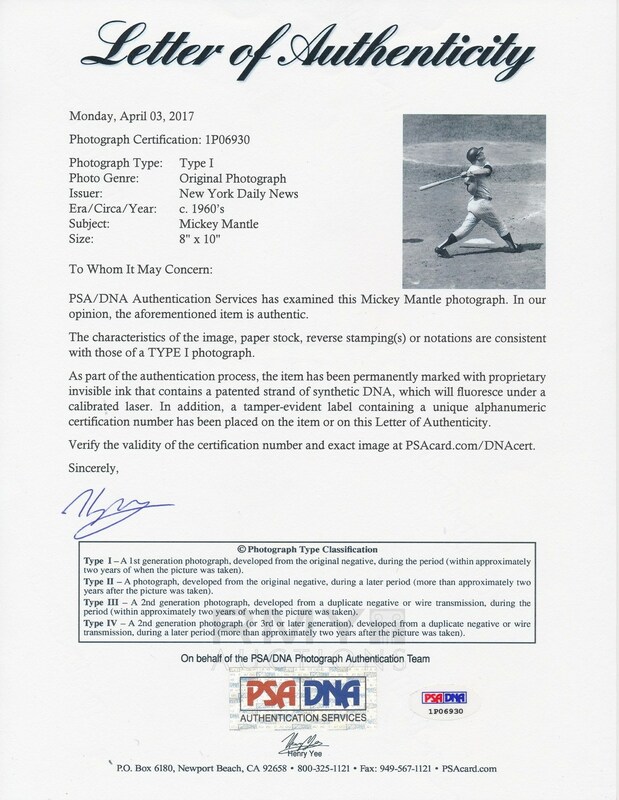 Photo also comes with a full Type 1 letter from PSA. NOTE: The image has a subtle yellow stain from a flaw in the paper when it was developed. It is light and not very noticeable in person but for some reason our scanner picked up the yellow much darker than it presents in person. 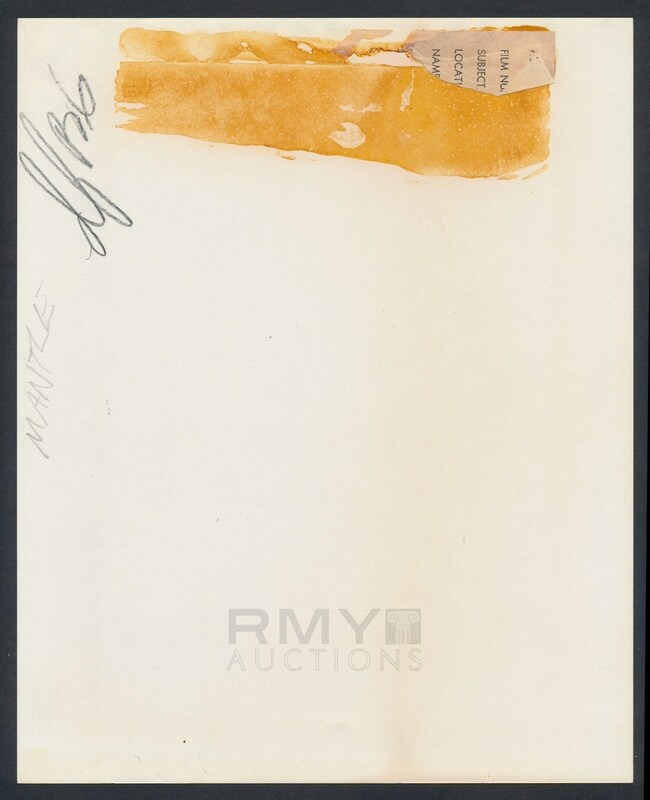 As such we scanned the item in both black and white and color to illustrate the stain in both views to get a better idea of how dark it really is.